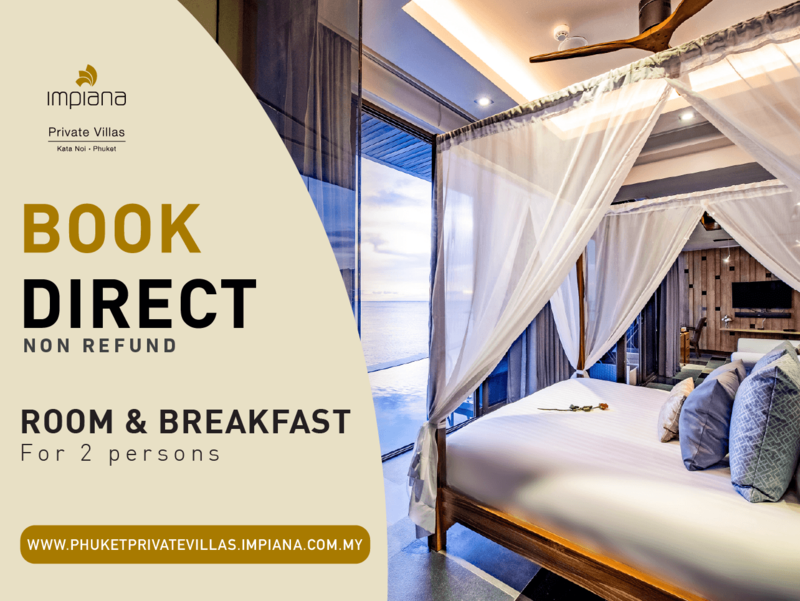 Complimentary daily ala carte breakfast for 2. Complimentary unlimited wireless internet access. Welcome fruit in the room. Welcome drink and cold towel upon arrival.. Private pool facing Andaman sea. * 4 - 6 nights stay including Roundtrip airport transfer & 1 Hour Massage for 2 per stay. * 10 nights stay and above including Roundtrip Airport Transfer & 2 Hours Massage for 2 people per stay.